Muneer Wadhwania, a Canadian National of Pakistani origin affected by Developmental Delay, was ‘discovered’ by our staff committee members during a visit to the Khalifa School - a private educational institution for special needs students and THE One Kuwait’s supported cause. After interviewing Muneer in the presence of his parents, he joined THE One in November 2005 as Staff Controller. At that stage, Muneer was in charge of checking that all staff members wear their name badges… and a smile! 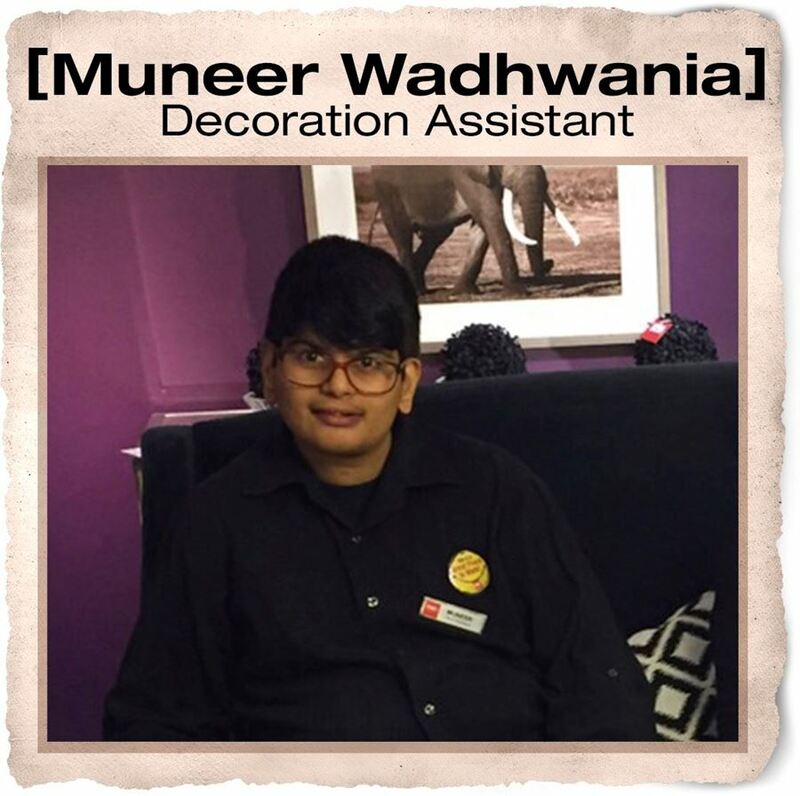 In November 2006, Muneer set himself the goal of becoming a Decorator and we are happy to report that he was promoted to Assistant Decorator in January 2007. He works four hours a day, five days a week.